Crocs is showcaisng their love and fascination for everything vintage. This trend can be thrown back at the 1970s when pop culture was at its peak. If there are three things words that embody the era, it they would be fun, creative, and free. Disco fever doesn’t really die; it just keeps heating up with every revival. Feminine silhouettes were highlighted in the ‘70s, a time when femininity dramatically evolved. It was a liberating period for women. They were finally able to go out and have full-time jobs and it was the time when they purchased clothes for various occasions, which led to the expansion of the female’s closet for the home and the office, both formal and casual wear. Individuality came into play and women started to feel empowered and free. Men’s fashion, on the other hand, was bold and daring. They wore wide, colorful ties, flared pants and bright, fitted shirts. Some even grew their facial hair. Thankfully, the trousers started to straighten again, although the flares are revived every few seasons as we look back on the decade with nostalgia. Some of the trends that we have now are actually a reflection of what was in vogue during the ‘70s, only with modifications and fusions with other eras. Glam rock emerged with the introduction of high-waisted denims and trousers, the arrival of platforms and satin-quilted jackets. The birth of wrap dresses, the maxi dress, mini- skirts and crop tops are all part of the ‘70s look and style and are prevalent in today’s fashion trends. Suddenly, everything old is new again. In the athletic scene, the sports industry had been a huge business and the demand for innovative and performance-driven footwear became a necessity. Jogging was one of the most popular activities, as well as court sports like basketball, tennis and volleyball. One of the favored styles that made a trend was the herringbone tread in track shoes. This distinctive herringbone tread became famous for its excellent grip and function for maximum mobility. It was highly prized by rafters, bushwalkers and even contractors. Today, it is considered one of the staple styles in performance footwear, and as well as with a popular lifestyle shoe brand. 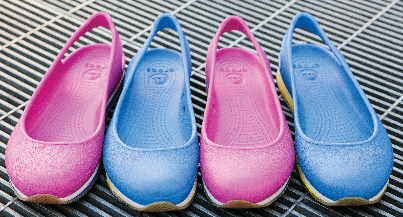 This year, Crocs, the global lifestyle footwear brand known for its profound comfort and fun has adapted the herringbone style for its Crocs™ Retro Collection. The shoe brand incorporates the ‘70s track shoe design with its signature comfort; recreating the classic looks of its clogs, slip-ons, and Mary janes to give a sporty, performance-driven feel which will let you walk in comfort and wear in style. “Vintage designs have a fascinating pull on people that goes beyond the trend and this is why we took inspiration from the ‘70s track shoe and incorporated it into our collection. It was a decade of fun and carefree spirits, similar to the feeling of wearing a pair of Crocs. It gives an exciting twist to our line and it further boosts our shoes’ functional benefits,” says Franco Limjuco, Vice President, Six Degrees Inc., Crocs’ local distributor. 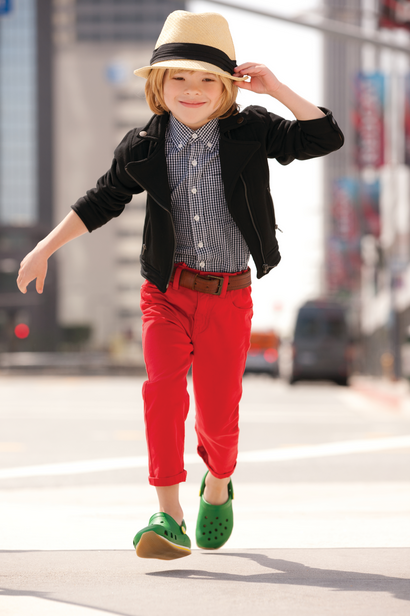 Crocs looks back but moves you forward with its funky new styles to bring a smile to your face, and ease to your feet. 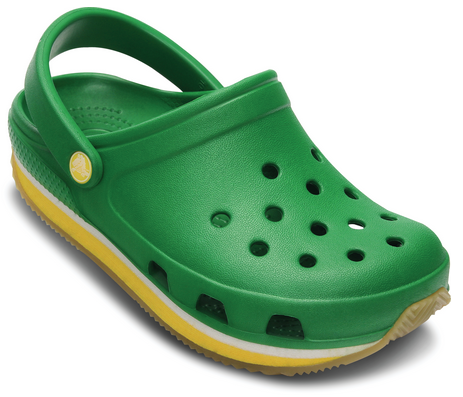 The new collection is set to be in the stores by mid-February in varied designs and Crocs colors. Whether it be in apparel or footwear lines, we now see why brands take inspiration from the ‘70s. It was a time of vibrancy and freedom, much like how we live our lives today, always in good spirits and with a happy vibe. Visit www.crocs.com.ph for additional information, or visit Crocs Philippines on Facebook and @crocsph on Twitter.